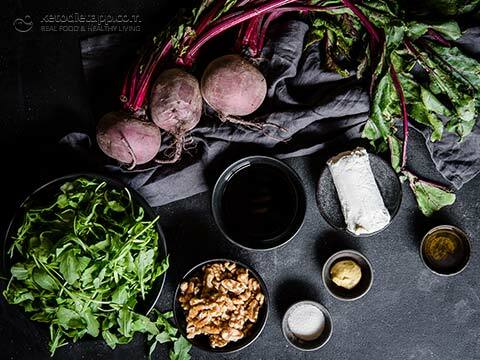 Is there a better combination than sweet roasted beetroot with tangy goat’s cheese? Well yeah, combining those with walnuts, rocket and a perfect vinaigrette. 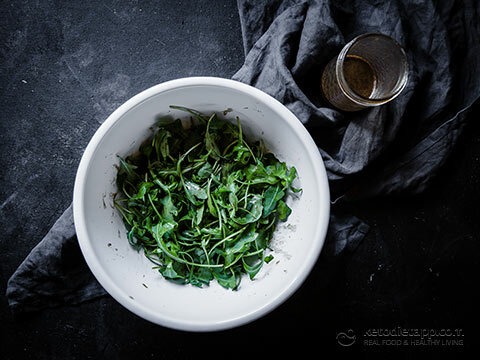 This salad could be a great carb-up meal all on its own, or if you need to keep your carbs low, it is perfect as a side dish or a light appetiser. 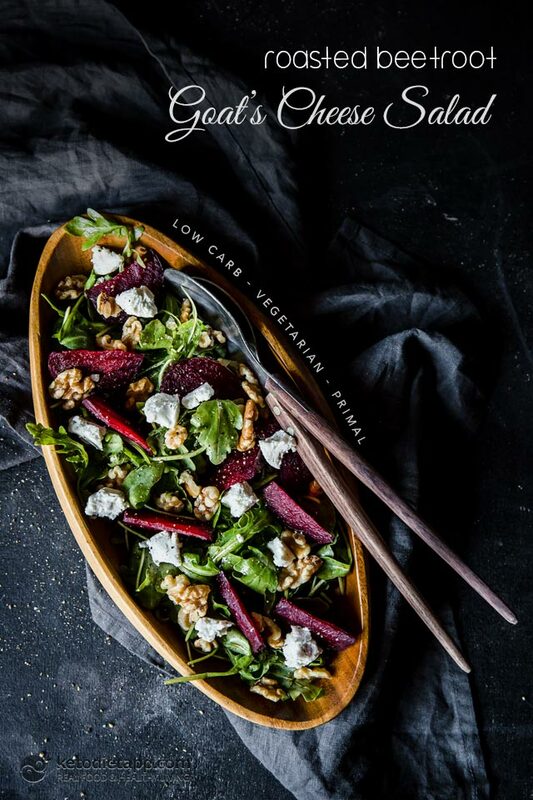 Just a note; if you plan to make this in advance, leave the assembly until just before serving so that the beetroot doesn’t bleed through everything else. Enjoy! This recipe makes 3 servings (served as a main dish/ carb up option) or up to 6 servings (served as an appetiser or side dish). Nutrition facts are listed per side dish/appetiser. 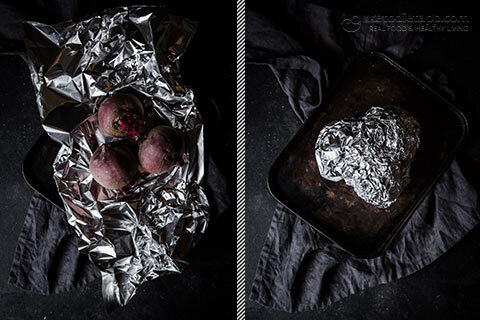 Wash the beetroot and then wrap in aluminium foil and place on a baking tray and bake for approx. 45 minutes. The beetroot is done when a knife slides easily into the centre. 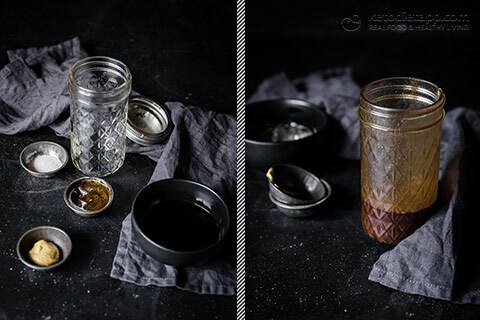 While the beetroot is roasting, place all of the dressing ingredients into a jar and shake until well combined. Set all other ingredients out, ready to assemble. 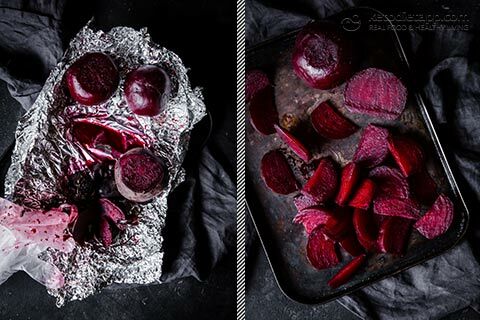 Remove beetroot from oven and let cool until you are able to handle them. While the beetroot is still warm (trust me on this one, you don’t want to try it cold), use your fingers to slide the skins off. I wear food handling gloves when doing this to avoid purple stained fingers. Cut the beetroot into wedges and place aside. Place the rocket in a serving bowl and toss some dressing through. 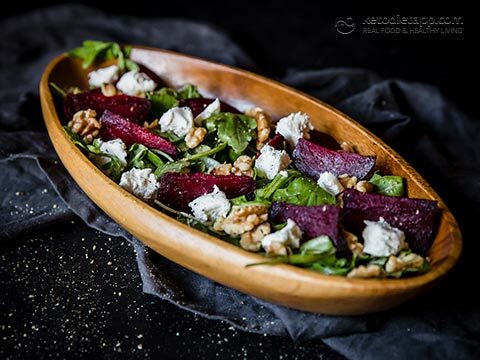 Place the beetroot wedges on top of the rocket and then sprinkle with walnuts. Finish off by placing torn pieces of goat’s cheese around the dish and sprinkling with a touch more dressing. Store the assembled, covered, in the refrigerator for up to 3 days. The individual components can be stored in the fridge for a week before using.